Rucci draws his inspiration from a private aesthetic universe, a mixture of diverse elements: Far Eastern asceticism, modern art, and ethno-folklore. His personal pantheon includes Cy Twombly, Francis Bacon, Joseph Beuys, Flemish Renaissance, Cristóbal Balenciaga, Madame Grès, Coco Chanel, Charles James, Gianfranco Ferre, Halston, Hubert de Givenchy, James Galanos, Pauline de Rothschild, Elsa Peretti, Diana Vreeland, Mrs. Deeda Blair, Patti Smith, and Silvana Mangano. Rucci’s trademarks are scintillating paintings made into prints, meandering Frankenstein and “worm” stitches, suspension techniques, the vibration technique, the thread of life technique, and many more, with an unerring eye for volume and structure. But above all, he has an almost obsessive interest in the materials. The clothes that emerge from all this are as magnificent as they are wearable. Despite their architectural precision, they look gossamer light. They are made for women of taste, those with enormous style and a penchant for understatement. Ralph Rucci was born in Philadelphia in 1957. An artistic child, he later studied philosophy and literature at Temple University. He later attended The Fashion Institute of Technology in New York. After graduating, he apprenticed with Halston before going off on his own in 1981. In September of that year, he showed his first collection — made to order in essence. He borrowed $10,000 from an aunt and labored alone for months, draping and cutting all of the first toiles and samples. He showed formally at the old Westbury Hotel on Madison Avenue, and as the story goes, he wheeled the racks to the hotel himself, assisted by several sample-makers. A select clientele slowly developed, for whom he worked tirelessly thereafter. In 1987, he had built the business to some significance only to succumb to the worst crash in American economic markets since the Great Depression in 1929. 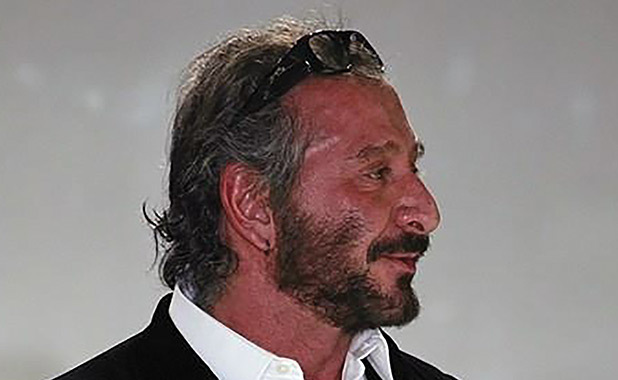 He barely remained afloat, and in 1994 he renamed the company Chado Ralph Rucci, an allusion to the chado Japanese tea ceremony and its values, such as harmony, purity, and respect — elements he’s always strived for in his work. His international breakthrough finally came in 2002 when the Chambre Syndicale de la Haute Couture Francaise invited him, as the only American in history, to show a couture collection in Paris as part of the official calendar. Never had an American been invited under his own name to show together on the calendar great houses. He showed haute couture in Paris for five seasons. He returned in 2007 to show a ready-to-wear collection for the international market. Rucci has been the subject of many retrospectives, notably The Costume Institute of the Kent State University Museum (2005–2006), The Fashion Institute of Technology (2007), The Costume Institute of the Philadelphia Museum of Art (2007), and The Phoenix Art Museum (2008). Prestigious awards have included The Star Award from the Fashion Group International of New York (2005), The Cooper Hewitt National Design Award (2008), The Couture Council of the Museum at FIT (2006), The Pratt Institute Icon Award (2009), The Philadelphia International Festival of the Arts Visionary Award for Fashion (2011), The SCAD André Leon Talley Lifetime Achievement Award (2012), and an Honorary Doctoral Degree from The Drexel University College of Art and Design (2015). Rucci’s clothes are in the permanent collections of The Metropolitan Museum of Art, The Philadelphia Museum of Art, The Victoria and Albert Museum in London, The de Young Museum in San Francisco, The Phoenix Art Museum, The Los Angeles Museum of Contemporary Art, The Texas Fashion Collection in Denton, Texas, among others. Films have included David Boatman’s Ralph Rucci: A Designer and His House (2008), narrated by Martha Stewart and produced by the Sundance Channel, and Christian Leigh’s Ralph Rucci (2010). Books published on Rucci include The Art of Weightlessness by Valerie Steele, Patricia Mears, and Clare Sauro (2007) and Autobiography of a Fashion Designer (2011) by Bauer and Dean Publishers with photographs by Baldomero Fernandez. In 2011, Rucci received the great honor of being inducted into the Fashion Group International Walk of Fame. His plaque sits on the southeast corner of 39th and Seventh avenues, right before Halston and James Galanos, set within the sidewalk for all time. ©DESERT PUBLICATIONS INC. ALL RIGHTS RESERVED.